As some of you may know, quite a few of our team members at capsule48 used to work at a photography-focused YouTube channel and community site called DigitalRev. While our content here isn’t going to delve deeply into that realm, occasionally we’ll be commenting on and reviewing consumer technology that overlaps with the travel, food, and culture aspects of capsule48. This means headphones, kitchenware, bags, functional clothes, and cameras—everything you’ll need for a life on the go. Last summer on DigitalRev I wrote a list of my suggestions for the best “travel” cameras of 2016, and since many friends and viewers have been asking for recommendations I thought it would be useful to do an update. I’ll be focusing on cameras which are easy-to-use, portable, and also future-proof. At capsule48 we are all video, audio, and photography nerds—but we want to keep the gear section simple. These are tools that should give you the best results possible straight out of the camera, so you can spend less time thinking about the gear and more time enjoying life, travel, food, and friends. It’s 2017, so I’m going to assume that everyone owns a pretty decent camera in their smartphones already. Those are good enough for simple holiday snaps and have duly replaced almost any need for basic point-and-shoot cameras. So when people tell me they are looking to upgrade and actually want to carry a camera on them, I usually assume they want either one of two things: the “shallow depth of field look” that dual-lens smartphones can’t quite replicate accurately yet, or good stable video quality. 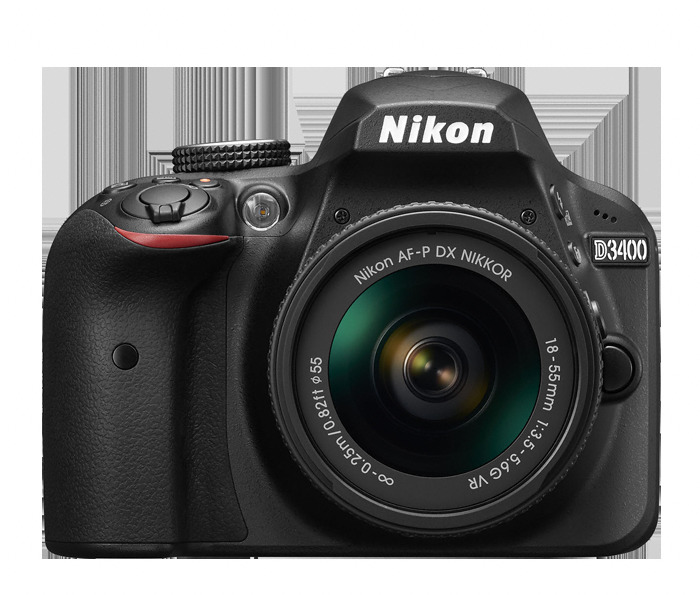 If you don’t mind carrying something a little bulky, and care more about image quality than video, I’d go for this combination: Nikon D3400 (~$400) with the Nikon AF-S DX NIKKOR 35mm f/1.8G (~$200). Nikon has a great lens system, the camera works with a Nikon app called Snapbridge that allows you to quickly import the photos over to your phone for social media purposes. The 35mm f/1.8 will give you sharp, beautiful images with a nice bokeh. If size and video is a concern then you should opt for the Panasonic GX850 (~$390) with the Panasonic Lumix G 25mm f/1.7 ASPH (~$150), or you can go for the GX850 with a 12-32 OIS kit lens for $548. The kit will give you more versatility and better video capability since it has image stabilisation, while the 25mm f/1.7 will give you those nice out-of-focus backgrounds. Olympus and Panasonic share the same mount, which is called Micro Four Thirds. Their cameras are super compact, and luckily their lenses are too. In general the Olympus cameras are more attractive, but I prefer the powerful Panasonic cameras. The Panasonic GX85 is slightly better than the aforementioned GX850 because it has 5-axis in-body stabilisation, an EVF, and more manual controls. I always recommend spending a larger proportion of your money on lenses however, and would suggest the Leica-branded 15mm (~$550), which is a perfect "one-size-fits-all" prime lens for travelers. This set-up is the perfect compromise between size and power, and you'll barely notice the weight in your bag while on the go. Once again if you don't mind a little bit of extra weight, you can go for the new Canon SL2 which has a great 24-MP sensor, good dual-pixel autofocus, Wi-Fi, and a touchscreen LCD. It will only set you back $550, so you can get two lenses such as the useful EF-S 10-18mm f/4.5-5.6 IS STM for $279 and the EF-S 35mm f/2.8 Macro IS STM for $350. Both the Sony A6300 and Fujifilm X-T20 cost around $900, but their uses are very different. If you plan to shoot video, go for the A6300 and don't look back. It's best with the Sony 18-105mm f/4 G OSS for video since that lens doesn't move while zooming and has image stabilisation. The kit linked above is a super good deal, and you can also opt for the Sony 35mm f/1.8 if you want the bokeh. The camera has the best video quality and autofocus in this price range, and is quite light. For still photography the Fujifilm X-T20 is an incredible bargain and one of the best cameras out there right now for mirrorless. It has wonderful colours, good autofocus, super easy controls, and a nice set of lenses. I'd buy it with the Fujinon XF23mm f/2 R WR for $449. It’s pretty well known that I’m a solid fan of Fujifilm’s sensors, and the colour, noise, and tones straight out of camera are unrivaled. That’s not to say that this is the best camera ever obviously, but it will provide the best results without too much work in Photoshop or Lightroom. Video on the X-T20 isn't anywhere near as good as the Sony, but Fujifilm's images don't require much editing. Files from the A6300 will require slightly more work to get an ideal final result.